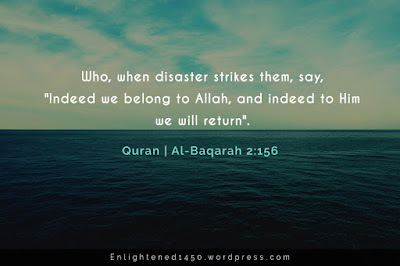 I have been following what has happened in the masjid in Christchurch very quietly, unable to speak about it or find words to make sense of it. I haven’t been able to discuss what has happened with my children or family, just to watch as events unfold. My office organised a vigil with our community and with people from all of our local communities attending. I am grateful that they made an effort to stand with the Muslim community at this time. But in the end, I didn’t attend. There was too much else going in my brain in trying to process what has happened. I can’t stop thinking about what those brothers and sisters in the masjid must have felt in their last moments, especially the precious little ones. I can’t stop thinking about their family members left behind - elderly parents, wives, children whose loved ones will never come back to them. As Muslims, we bury our dead quickly and mourn them for a short time, with the trust that Allah (SWT) will reunite us again – "to him we belong and to him we return". But when you lose your loved ones far away, it doesn’t feel real and you cannot mourn properly. How many of those families will watch the door waiting, knowing their family member won’t come home, but not quite accepting. Then there is the added hardship of losing the person who supported the family and all that goes with the loss of a breadwinner in some countries. 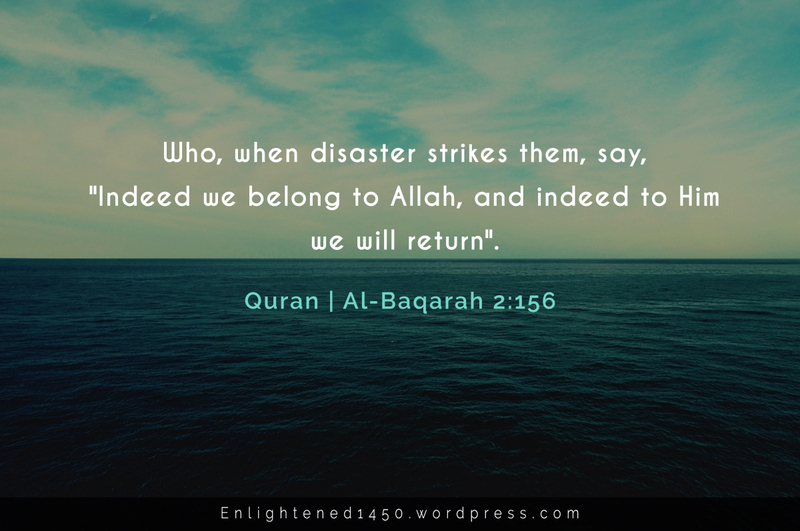 I keep thinking about how apologetic we feel when a Muslim does something bad and it seems as if an accusatory finger is levelled at all Muslims, but how if the crime is perpetrated against Muslims, we must grieve and stand together with others, patient, humble, noble. Where is the space to process our anger and sense of injustice? Finally, I think it is not enough to stand together. Our pain and anger must be put to good use – in addressing and challenging the media and politicians who have turned Muslim’s into a stereotype and a menace for their own gains – votes and newspaper sales. Reams of print and hours of words about “creeping sharia”, “immigrants taking over Europe”, “oppressed women” and “mad mullah’s” that stops the world from seeing us as parents, families, friends and neighbours. Instead demonising us, othering us, making us look ignorant, cruel, backwards, a threat. I think I will try and hold my tongue and be patient, but I think if people talk about solidarity and standing together, I will ask for a little more. I will want to know what they would do when they see the newspaper and hear the politicians. Will they help us to challenge, or go about their business thinking it is nothing to do with them?